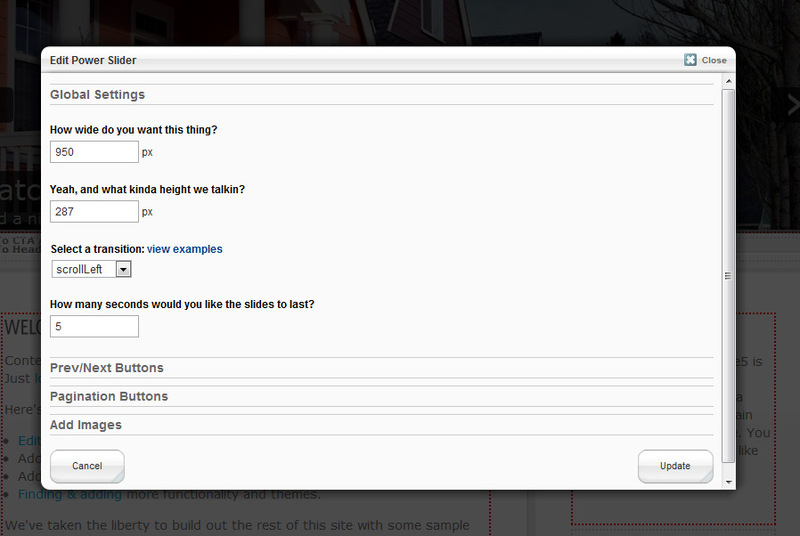 Full featured header image slider based on the "slideshow" block. 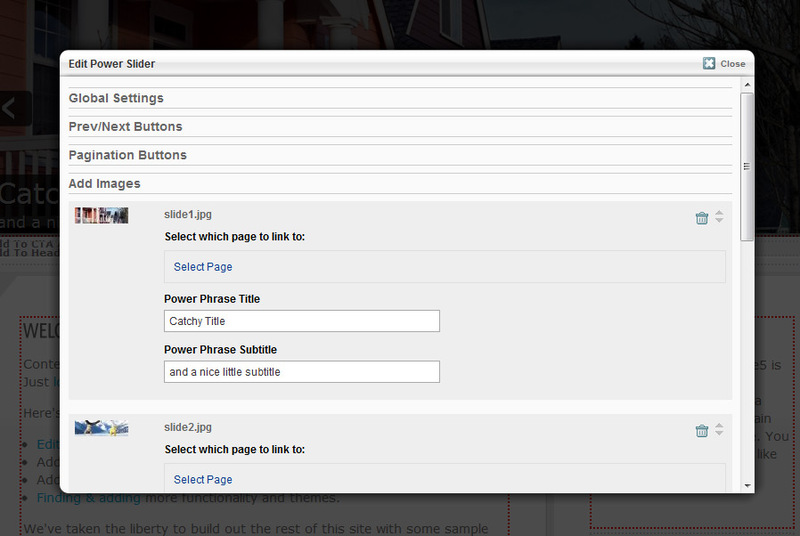 "Power Slider" is a complete rewrite of "Slideshow" that uses jQuery Cycle. 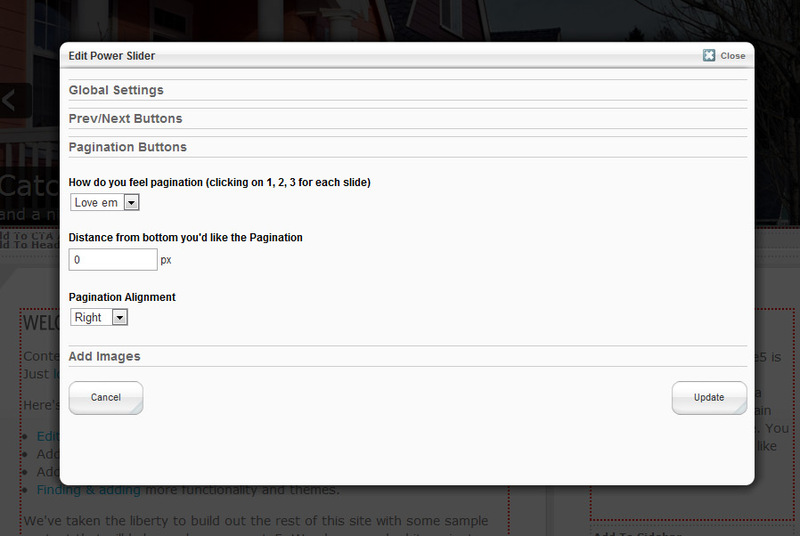 Pagination - automatically creates numbered links to quickly jump to each slide. 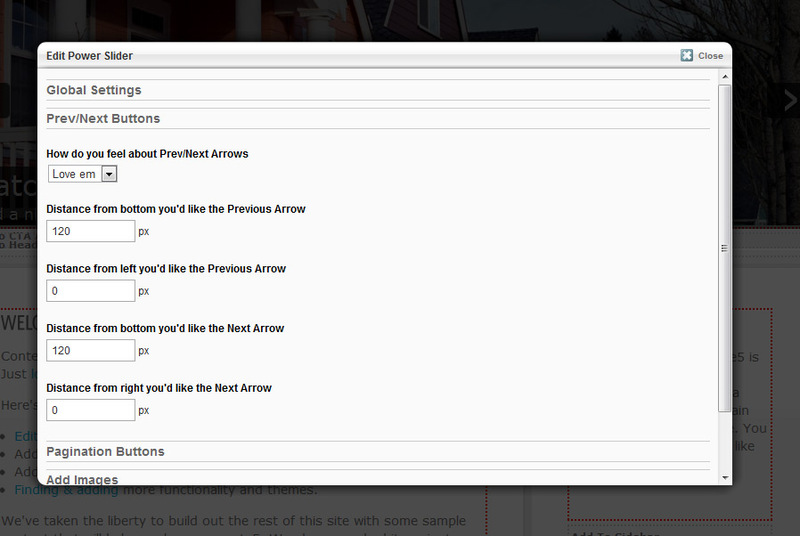 Prev/Next Buttons - navigate through the slides. Include a title and subtitle with every slide.